In Dubai, basketball never make it to sports news headline. It is always under the "other news" sections of the biggest publications. 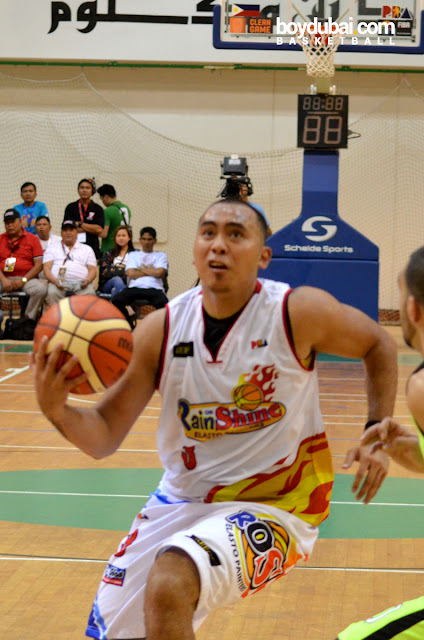 For Filipino expats, it's a different ballgame - especially when the PBA is in town. The first game between Rain or Shine and Globalport drew a respectable crowd while Rain or Shine's match against Ginebra filled the Al Arabi Al Shabab stadium to the rafters - it's an SRO. 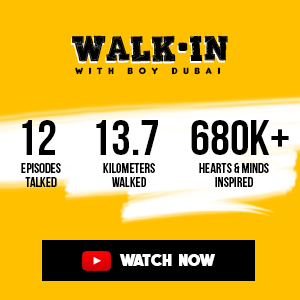 Dubai is a city of world records and how best fit it is that the recent PBA games in Dubai also set some records of sorts for the league. He's a man on a mission. He sure knows how to get the crowd. The audience who were then cheering Rain or Shine ended up applauding and wishing he'll be picked for Gilas. He got the crowd early into the game with his hot shooting. Jeric Teng made the trip but caught injury in practice. 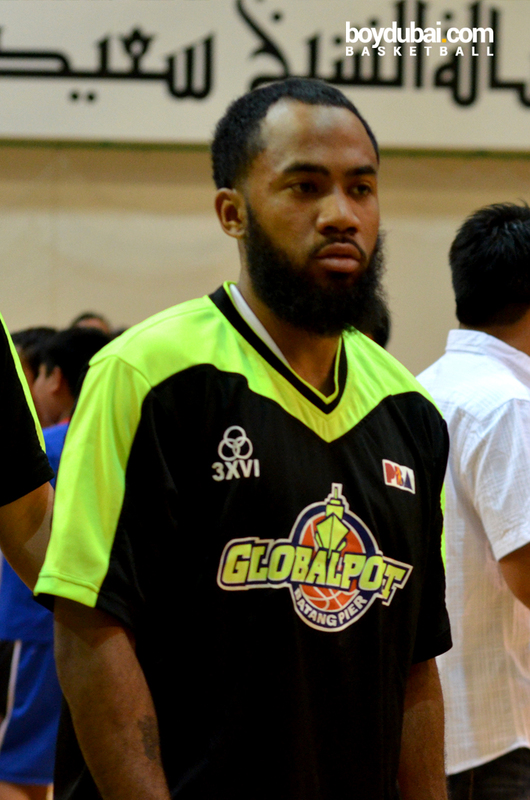 Kelly Nabong also missed the trip for Globalport. 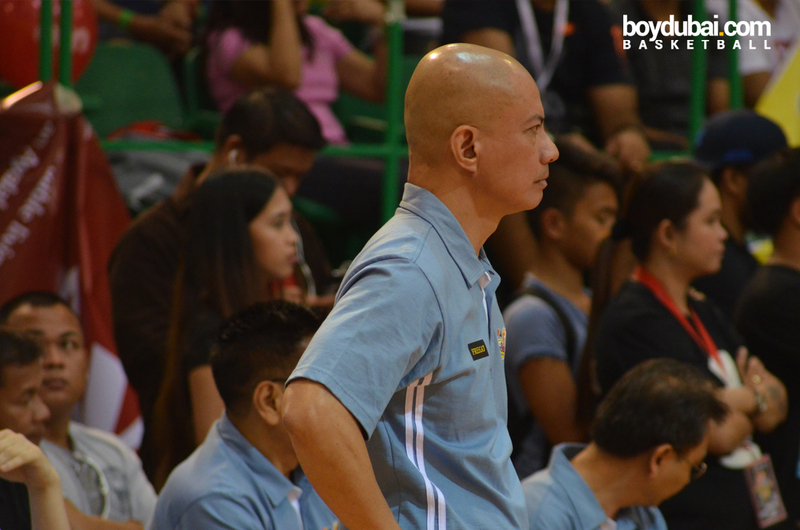 He is still not 100% well from a recurring injury, and coach Pido didn't want to risk that. He had an impressive showing of 15 points and 10 boards - most at the crucial stretch of the game. Longtime Ginebra fans terribly missed the fast and the furious tandem live on the hard court. ...but he still topscored for Ginebra. Thanks to the support of the locals. The most popular team's Asian import, dubbed as "Kobe Bryant of Mongolia" continues to struggle for playing time. This is his lowest contribution to the game so far, not counting the one game he never sweat any single minute at all. 13. Beau Belga still receives the loudest boos. 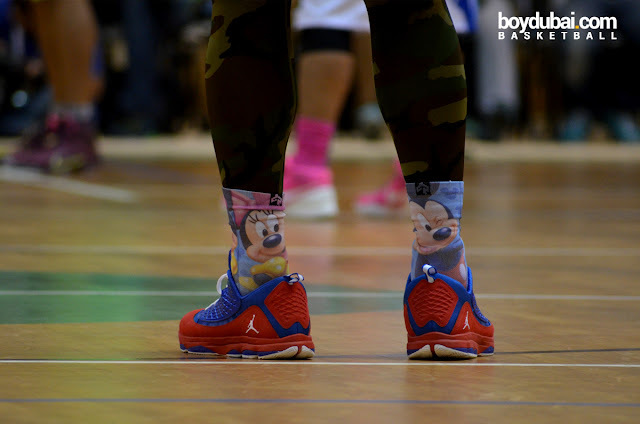 Who cares, he's sporting the best socks anyway. ...and lose against Ginebra the next day. 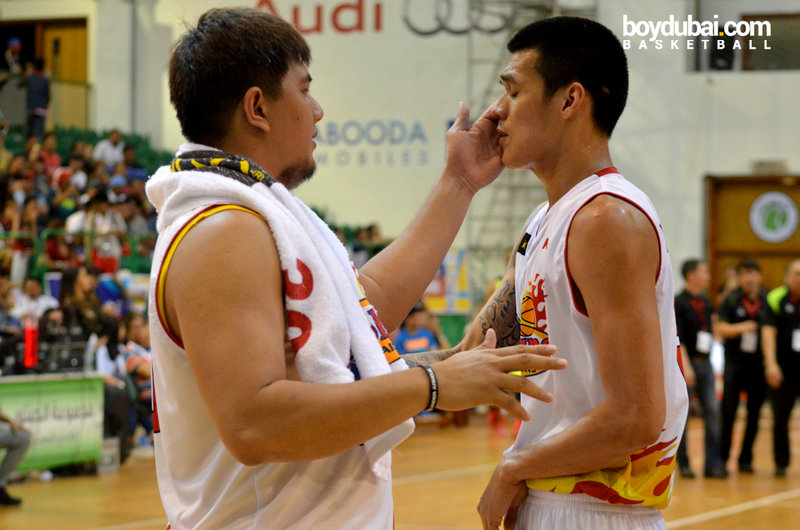 Although playing 2 games inside 24 hours, coach Yeng don't want to make that an excuse. It's tough, but he admit this will just help the team better in terms of character. The former Meralco import scored 26 points in his return. The team's final score 119 against 112 of Globalport is also Rain or Shine's highest output in many years. He will assume the president role, when new commissioner Chito Narvasa assumes office next season. He's diving for loose balls and grabbing 'em rebounds. He must have learned a lot for Ginebra assistant coach Freddie Abuda, the Scavenger. Traded for Joseph Yeo just few weeks before this trip, he continues to gain fans respect as a playmaker for Ginebra. 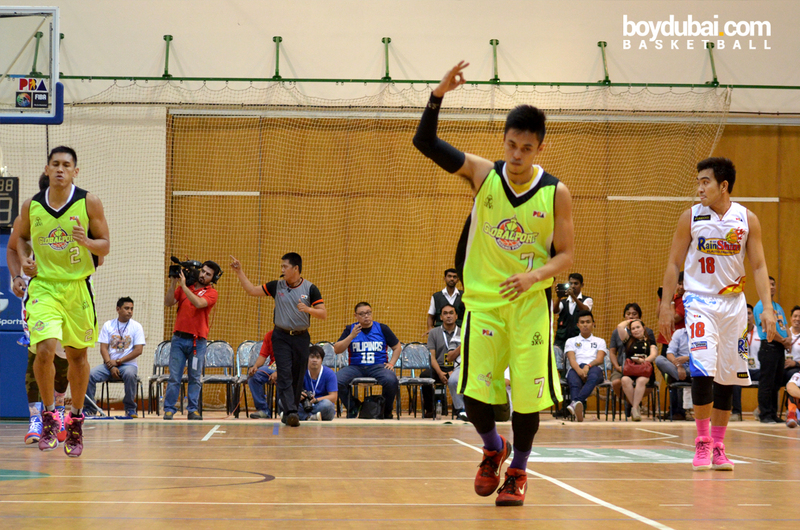 He was the Best Player of the Game with 20 points, 11 rebounds and 4 assists. 21. Ginebra is now 2-0 against Rain or Shine in their 2 Dubai match-ups. 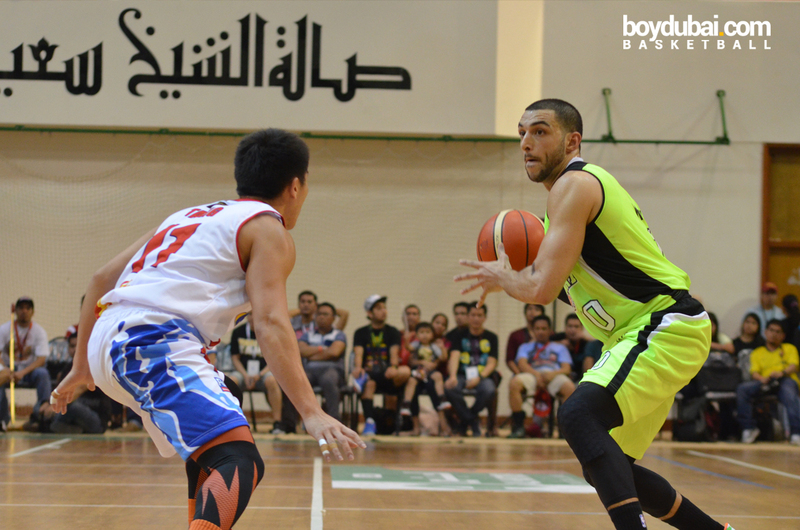 The Gin Kings won by a hairline 89-88 in their first Dubai meeting. There are other interesting numbers off the court that's worth a look. Like, how many shoes they have bought, how many shawarmas they've eaten, how they liked the boodle fight as a welcome dinner, and what pasalubongs they got for their families and friends... but, let's just stick to the games. ...and oh, how court side reporter and actress Erika Padilla turned heads in Dubai. 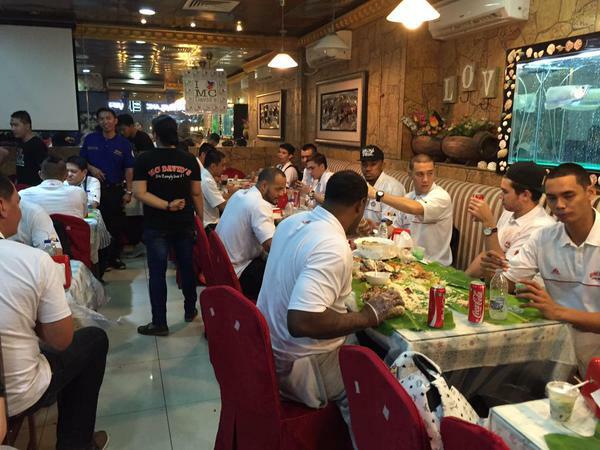 PBA you've made Dubai the happiest place for OFWs this week that you're here. Very well done Clique Events for staging an enormous show. This could also be the first time a PBA event in Dubai was spearheaded by a lady. Congrats! Thank you PBA for keeping the league relevant to Filipinos in Dubai and overseas.